Pictured: a deadly weapon (if you’re a potato). On May 3 in Scotland, a man was arrested for carrying a potato peeler. That’s right, a potato peeler. He was charged for carrying “an article which had a blade or which was sharply pointed, namely a potato peeler.” Maximum penalty: four years imprisonment. Knife bans, like gun control, are not about saving lives but controlling them—including controlling the economically disadvantaged, people of color or others the state wants to keep “in their place.” (The potato peeler violator, by the way, was said to suffer “from significant learning difficulties.”) More to the point, knife bans are designed to keep the people down. The inequality of policing and prosecuting for possession of gravity knives by black and Hispanic men is most striking in NYC’s Union Square. There, according to Legal Aid, such men consist of only 11.5 percent of the population but account for a whopping 52 percent of those arrested and prosecuted for gravity knife possession. Moreover, the New York County District Attorney’s Office (DANY) exacerbates things by often classifying gravity knife possession as a felony, a charge that carries up to seven years in prison. From July 1-Dec. 31, 2015, DANY charged 65 Legal Aid clients with felony gravity knife possession—four times more often than all other NYC prosecutors combined! Magnifying the inequality of the situation is the fact that NYC chain retailers sell folding knives designed and marketed as work tools, yet when Legal Aid clients are found with those knives in their pockets, the knives are suddenly “illegal” and the clients are arrested as criminals. Such inconsistent application of the law ensures a regular money flow to the local big box stores via sales revenues and to government through sales taxes and fines, while simultaneously keeping the victims “in their place.” As Doug Ritter of Knife Rights noted, knife bans help ensure that the circle of inequality remains unbroken. “Repealing knife bans removes another excuse to engage in such biased arrests and prosecutions for the innocent carry of some otherwise arbitrarily illegal or allegedly illegal knife,” he observed. When knife bans disproportionately impact minority populations, something is wrong. While Knife Rights continues to fight NYC’s inequality of knife law enforcement, knife control has raised its ugly head among the rank-and-file citizenry of London, England, and Canada. 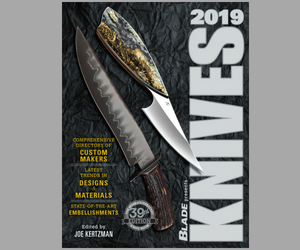 In January, the Canadian International Trade Tribunal upheld a Canadian Border Services Agency decision that classified most folding knives as prohibited weapons to import, even though the knives are legal to sell and possess in Canada. The vast majority of those who will feel the full force of Khan’s edict as well as that of knife bans in general are the economically and other of the disadvantaged, or the simply not quite so advantaged. What better way to keep them all down than to arrest, fine and jail them for carrying knives? Next articleWhat Exactly is a Tactical Knife?